3.500 copies pressed (Source: Frontpage-Germany-Special, Summer 1994). Track durations on B-side are incorrect, and have been adjusted to actual durations. 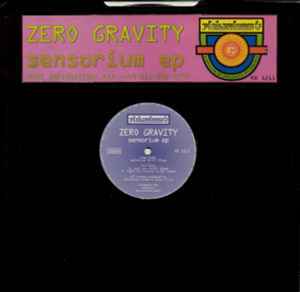 Also played by Goa Gil in early 90's Goa Trance sets.....the song Sensorium. One of my favorites of that time. this masterpiece of record is a standout trance record. it represents the early trance time in germany. the track the is worth the lots of money it might cost is sensorium. the track was played at dorian gray airport discothek by dj dag several times. this track has to be played from the beginning on until the end. the circulating arppegiator of the synthie is wonderful. combined with some good drum-variations and a nice string melody the song has a big influence in a trance set, that runs at 128 bpm. i play this track completly at an endening of a part of my sets to keep the crowd alone with this uplifting hit. this is simon ellis at his best althogh the houdini stuff is brilliant as well.